Cats are inherently wild creatures and can only become socialised and domesticated by friendly human contact during early life. Kittens born to cats ‘living rough’, whether the mother is a domestic stray or a feral herself, will grow up to be feral unless brought into the human fold within the first few weeks of their life. The behaviour of feral cats is so different from the ‘fireside companion’ we all know, that some people don’t realise that they are one and the same species. Cats Protection estimates that there are one-and-a-half million feral cats in the UK. We currently have a number of feral cats looking for a home for an outdoor working home. An ideal home for these cats would be on a farm, stables or smallholdings. 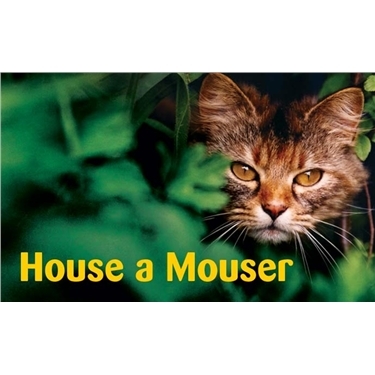 These cats can be very beneficial to vermin control and need minimum interaction from humans. They only need daily feeding and a warm shelter from the cold and wet and the possibility of occasional veterinary treatment. If you have the ideal habitat and would like to offer these cats a home please get in touch.